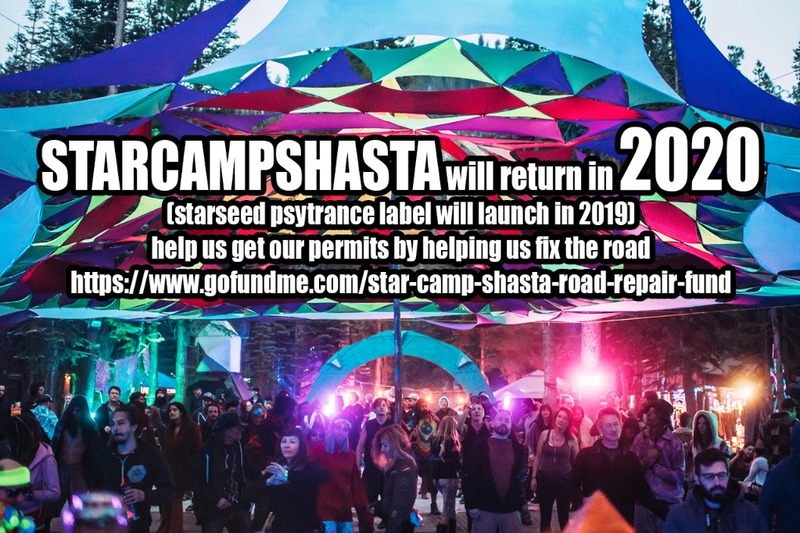 As some of you may know, we have been faced with the requirement to obtain Siskiyou County use permits in order to continue having the Star Camp Shasta event. We started the application process in August of 2018, and filed in early October. The process has gone pretty well so far with the exception of one issue - the road coming in and out of Star Camp. We need to make the road comply with California State Road Regulations 4290 in order for CalFire to sign off on the permits. In order to do that, we must make the road 20 feet wide and permanently fix any steep grades. This is a significant challenge for us, both time-wise and financially, especially for an event of our size. We have our event for the love of psytrance and most years we make no profit. So for CalFire to ask us to widen 4 to 8 miles of an existing road we did not build, to comply with State Law, it’s a big deal. The event permit alone will cost us around 10K once complete, and we are already invested about 7K so far. We do not know how much the road will cost us to fix but we are imagining it will cost about 25K-50K depending on the scope of the project. Anyway, we won’t exactly know until we can get quotes from contractors, and until CalFire can come and do a pre-inspection and tell us what specifically needs to be fixed. Once we fix the road, we do not see any other issue having permits for the event. Due to the seasonal nature of the site and the high elevation, we cannot work on the road until the snow is all gone, likely sometime in June. So we can’t even get started for at least 4 more months. After we start, it will take a couple of months to complete, if we are lucky. This means that the time frame of getting the permit is projected to be fall of 2019, at the very soonest. Since we normally start our planning process for our August event NOW, and we won’t know if we will get the permits on time for 2019, we have to make the call postpone the event until July/August 2020. We spend a considerable amount of time and money on the road every year. We have only just recently asked for attendees to pitch in for the road and site repairs in the last couple of years, which has been 20 dollars per car, in a fee called an impact fee. That barely covers the work we put in on a yearly basis, which usually costs us about 3K per year. To complete this new requirement, we will need heavy equipment and licensed operators to grade the road, instead of the usual renting the Bobcat and Chipper which has worked in the past. We may even have to pave or add gravel to certain sections, which would raise the cost of fixing the roads significantly. Anyway, thank you for all understanding. Funding the GoFundMe is the best way to help us. We will be reaching out to neighbors as well, but we only have a few active neighbors, so your contribution is really our only viable choice right now. Thank you so much for supporting Star Camp in the past, present, and future! !